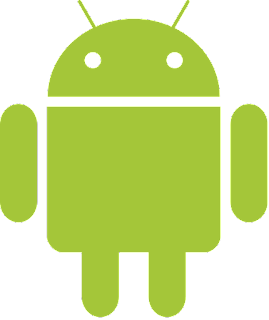 For most of us that do not know what rooting is all about; Rooting is the process that allows you to attain root permission and gain access to the android system hereby unlocking privileges not available for normal users. The function of this process is to give users really cool privileges like modify software on the device, install applications not recommended for your device. Just as we talked earlier some unique features are added to the device. The first on our list is you can use special or unauthorized application that requires access to root OS. These set of applications allow you to use special features on your phone to make it more fun for the user. Example of what these applications do is optimize your gaming experience, help you pass hard levels in games easily, uninstall multiple applications at a time. After the rooting process, the phone allows you to move custom applications from the phone storage to the external storage/secondary storage. Some applications allow you to transfer applications by default but the others need a rooted device to be possible since you have access to the root operating already. Users of rooted devices would notice the upgrade in their battery life after the process. This is only possible because the phone uses a little power since it is in root mode. It gives the user the privilege to update your outdated android version by just downloading the latest version without manufacturer’s permission and this is only possible because the operating system thinks the manufacturer only has the permission to carry out the update. I know you are quite convinced about rooting, right? Now let’s talk about reasons you should not root after all. This is one of the drawbacks in rooting your device. You void your phone warranty even if the warranty period hasn’t expired when you root your phone and you have to pay the company to repair your device when it develops any problem let’s say hardware difficulties like the touch, speakers or calibration. When you mess up your phone rooting process and does the opposite of what the rooting process is supposed to be the phone might end up crashing and may be as useless as a brick. This will only happen if the phone was rooted by a novice or a person that does not know much about rooting. Since you have breached your devices security and permissions it’ll make it easier for malware and virus to attack your device since your device is not protected in any way. Just so you know antivirus does not support rooted devices. I will advise you not to root your device because on the long run you’ll discover the process does not worth the risk.